W124 footwell plastic trim name/part number? Discussion in 'Interior' started by W124newbie, Oct 5, 2016. 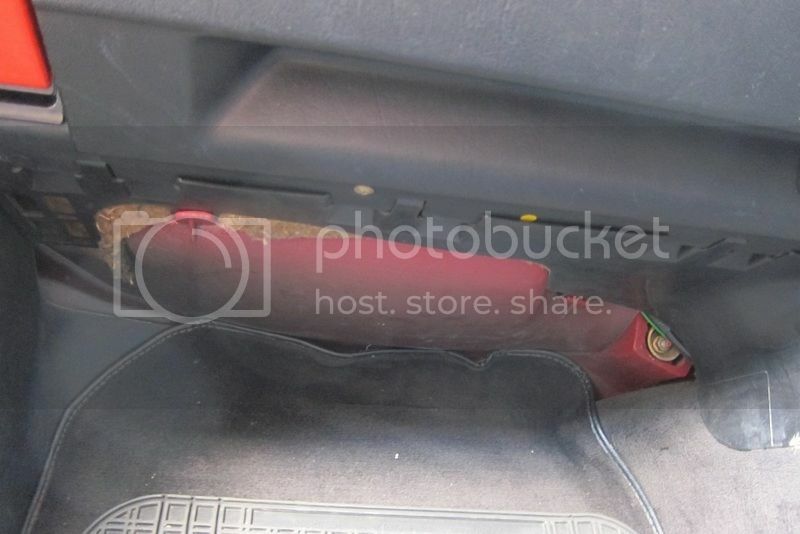 Just noticed over the weekend that the plastic trim that sits in the passenger footwell under the glovebox is missing. No idea when or why. The last work that was done on this car was when the radiator and brake discs/pads were replaced - would any of those jobs require taking this off? I've just spoke to the garage (these jobs were done around 6-7 months ago) and they reckon it wouldn't have come off and if it did, it would've been put back on. Anyway I obviously need a replacement, but don't know what it's called. Could somebody please let me know the name/part number so I can look around for a replacement? I've attached a pic in case my description doesn't help! Hi. I suspect it called a "Passenger Side Kick Plate" Your local MB or a breaker should be able to source this. No I do not believe it would be removed for any of the work you describe. is this part black or grey?? if black i should have one. Thanks brucemillar, I think it's called a kick panel. It should be black. If you have one PSA that would be awesome. Terminology varies lots but kick panels are usually the bits of trim at the outer sides of footwells. Just visible at the left of the pic where it meets the floor and disappears under the mat. Either way the name that the bit of missing trim goes by in the EPC is pretty much guarenteed to be something no one would ever call it, 'insulation' according to Mercedes-benz | iAUTO.lt by the looks of things? just double checked, i have one but their is 4 screw holes in it where what seems like a alarm module was kept. will this help?? Are they big gaping holes or tiny ones? I could potentially fill them with something. At the moment anything would be better than the sponge material and bare metal that's on show. Great! Will drop you a PM.